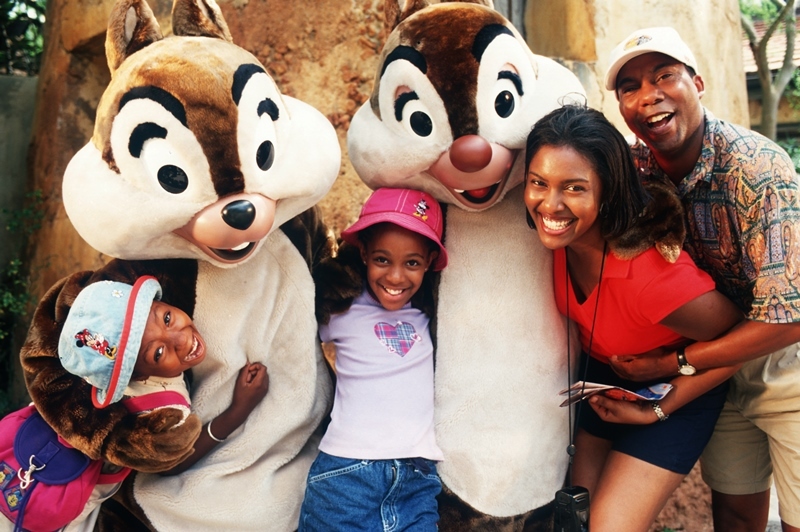 Family enjoying the latest developments at Disneyland. Some may not be aware that Disneyland is now officially called the Disneyland Resort. However, we suspect that almost everyone will still call the happiest place on Earth, Disneyland. The Disneyland Resort consists of the Disneyland Park that everyone knows and loves, the Disney California Adventure park, the Downtown Disney shopping, dining and entertainment complex, and the Disney hotels that are next to the parks. But the resort is ever evolving and expanding. Here are the latest developments at Disneyland. Disney opened this brand new dark ride in Disney California Adventure to great fanfare in May 2017. The Marvel movie series, Guardians of the Galaxy, provided the inspiration for the ride. It takes you on one of six different adventures with Marvel character Rocket Racoon. Here, he enlists riders to help free other the members of the Guardians of the Galaxy team displayed within the Collector’s fortress. Disney Imagineers incorporated this accelerated elevator drop ride within the building once used for the Tower of Terror ride. Soarin’ Around the World debuted in June 2016 in the Disney California Adventure. It replaced the popular Soarin’ Over California. While the ride overall is essentially still the same, but with a number of technical improvements. The ride now covers a journey over the world. Previously, the ride offered a simulated flight over scenic areas of California. Perhaps the biggest new development at the Disneyland Resort is the new Star Wars: Galaxy’s Edge land. Star Wars: Galaxy’s Edge will offer two new rides. The first one will be a simulation ride on the Millennium Falcon. While the second ride will place guests into a battle zone between the First Order and the Resistance. Imagineers will theme this new land with scenes from new Star War films and not from the older classic ones. This new land will open sometime in 2019. Disney had to temporarily shut down the Mark Twain riverboat ride and the Disneyland Railroad to make room for Star Wars: Galaxy’s Edge. But these two rides re-opened sometime in July 2017.